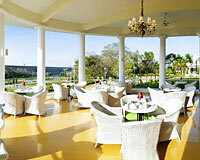 Royal Orchid Brindavan Garden is set overlooking the sprawling Brindavan Gardens. 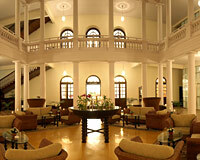 Royal Orchid Brindavan Garden is a beautiful luxurious 4-star heritage hotel, near the Cauvery River, in Mysore. 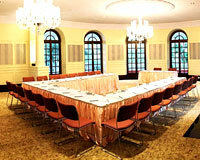 The hotel offers a complete out-of-the-world experience and has an ideal setting for a business stay. 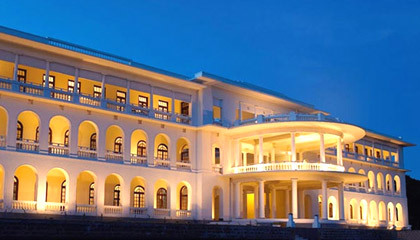 It boasts of majestic building which appears like a palace; its royal décor is simply outstanding. Moreover, all this is enhanced by hospitable services of the professional staff. With all sorts of business and recreational facilities, Royal Orchid Brindavan Garden is the perfect getaway to relax and splurge in comforts. 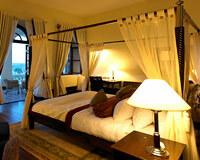 The luxury heritage hotel consists of 24 King and Queen Suites. 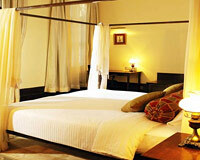 All the suites are decently furnished and are done up with modern amenities. Garden Café: A place to relish a choice of sandwiches, beverages and desserts. C.K. 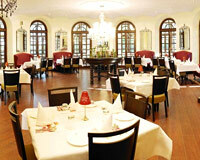 's: A multi-cuisine restaurant to enjoy a scrumptious range of delicacies. The Elephant Bar: A ideal watering hotel to relax over cocktails & mocktails.